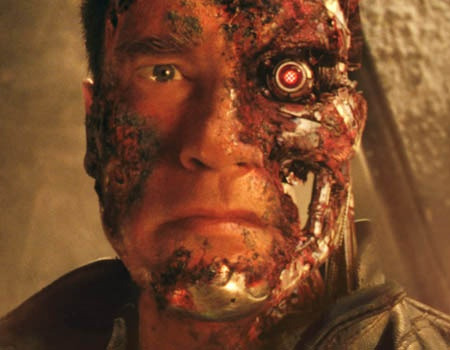 Can you recall The Terminator ? Arnold Schwarzenegger. Yes, we are talking about the movie The Terminator, because we are dealing with Cyborg, Artificial Intelligence and lot of more future things – which are not from the movies, but from the lab. We have wrote about artificial muscles too, somewhere in Robotics. So, the things are coming very closer, right? Machine Learning is the creation of knowledge from experience that goes through learning phase. How you learn ? You see and read and a specific part of your brain processes it so that it can be applied in real usage. How much processing and what will be the application is dependent on intelligence. That is why there is no strict formula of measuring intelligence. There are some formulas like Intelligence Quotient, those are worse than the thought that your pet dog will fly tomorrow. The reason is, it can not explain why Matt Mullenweg, a person younger than me introduced WordPress, it can not explain why Thomas Alva Edison has the highest number of innovations as an individual. There are lot of things, most not discovered and will take few thousand years to discover – but it is a matter of fact, apparently human learning is a Biological Machine Learning. It is machine learning because you can not make a ?fool understand simple thing – you can slap or offer gifts, his machine is incapable. That means that the process of his biological machine learning, has a definite problem. ?That is a separate topic and has little to do with our technical machine learning in this article. The most common everyday usage of this Biological Machine Learning is hand written signature. In machine learning it is the power of knowledge that plays an important role. Machine learning is intended to be acting as per our wish. Our means, the system which is acting as a provider of Machine Learning. Human learning is, however not a perfect Machine Learning. There has been several proposed logical Machine Learning to train a computer, these are sometimes called?Algorithmic approaches of?Machine Learning. The perfect examples of such?Machine Learning can be handwriting recognition, Voice Recognition etc. Quite obviously, these kind of?Machine Learning is very primitive. Most Machine Learning methods and softwares are far to be perfect simply because, no one can answer why Madam Currie thought in a different way than her batch mates. Source Code : What is this Source code is ? Source Code is the form of computer instruction set which is human readable basically written in an programming language. Source Code builds up a program. Markdown is a simplified markup language, developed by John Gruber and Aaron Swartz. Markdown is easily readable even in plain Text without further conversion. Cite this article as: Abhishek Ghosh, "Machine Learning and Artificial Intelligence," in The Customize Windows, January 14, 2012, April 24, 2019, https://thecustomizewindows.com/2012/01/machine-learning-and-artificial-intelligence/.